Today is Pregnancy and Infant Loss awareness day, and to show my support I wore a pink and blue mani. 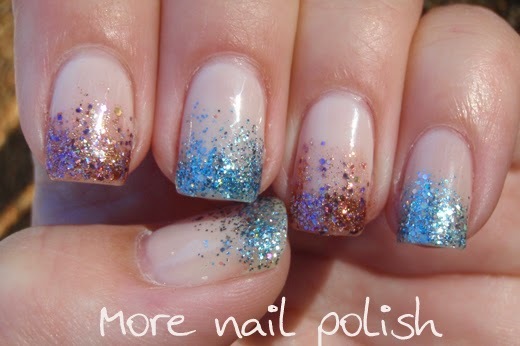 I used Bourjois Rose Lounge for my base and Shimmer Julia (blue) and Sonia (pink) to create a glitter gradient. 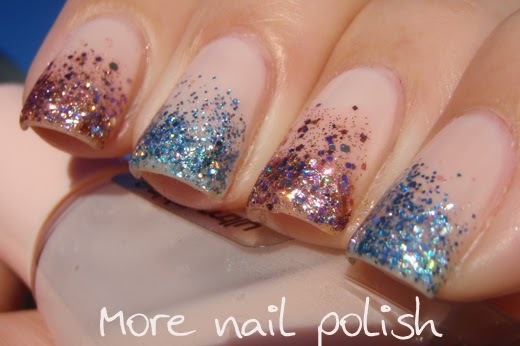 Shimmer Polishes are so perfect for glitter gradients. I've worn Julia before, but I've not used Sonia before. 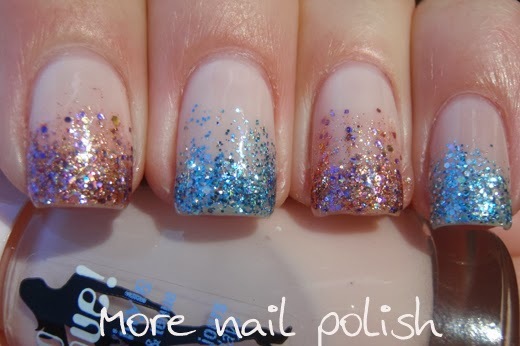 Sonia is such a pretty mix of small pink, lavender, gold and holographic glitters. 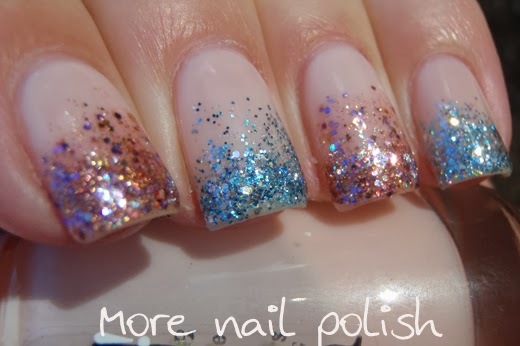 These two Shimmer shades goes so perfectly together. Don't forget that all the WAVE auctions are ending tonight. I'm so thrilled to see all the money that Theresa has arised, and I'm excited to see who ends put winning my bottles so I can put together a special package for you.